fished a couple days right before ts Lee hit. 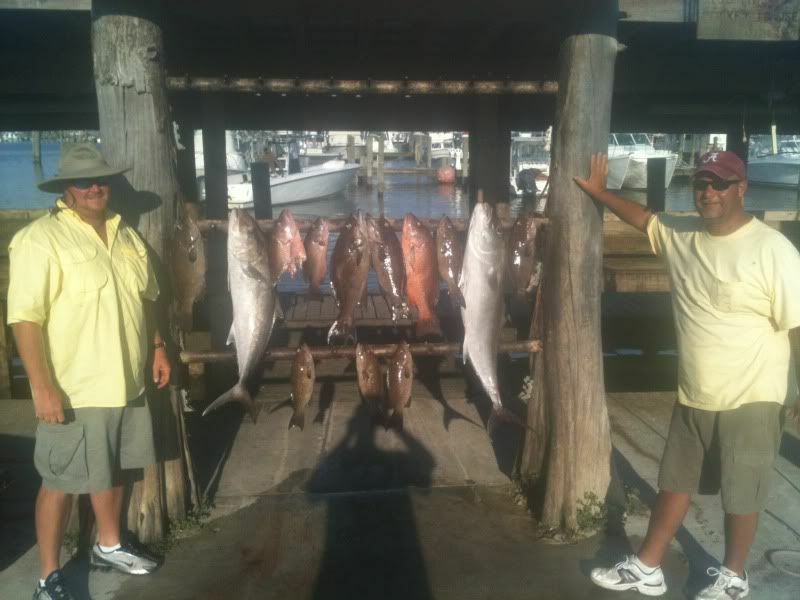 The first day I stayed on the shelf and fished 12-15 miles offshore. Tuna were pretty prevalent out there but it was hard to get live baits past the bonitos to them. They cleared out for a little while and we were able to nab three yf from 30-60 pounds. We tried to throw poppers with no luck all they wanted was live bait. After the bite ended with three yf and a pair of jumbo blackfin we headed closer to shore to try for ajs. Only had two good aj baits and we went 1-2 on ajs before the snapper started eating up our little tuna baits and we headed to the house. 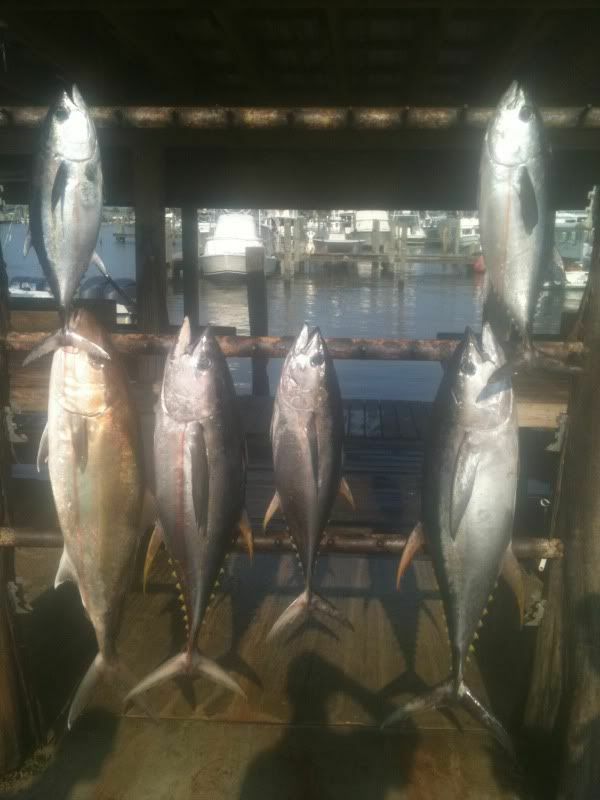 On the last day they didnt really want tuna but we made a little college effort try and hit some areas that were over by my good bottom spots. There were no tuna home as they were in dirty water that day. so we picked up and went bottom bouncing. Got our limits of ajs real quick and then started dropping for scamps. They were being cooperative on live bait and jigs and the guys got their two man limit of scamps in about an hour with several missed ones. Next up was mangrove fishing and that didnt go so well. Only got three mangroves before we headed to the house.